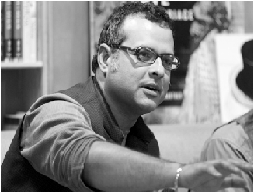 Vijay Prashad is a columnist at Frontline and a Senior Research Fellow at AUB's Issam Fares Institute of Public Policy and International Affairs. His latest book is The Poorer Nations: A Possible History of the Global South (Verso, 2014 paperback). Why The Red Swept Nepal, And What Now? Little More Than a Publicity Stunt.. The Beef Order: Against Whom?